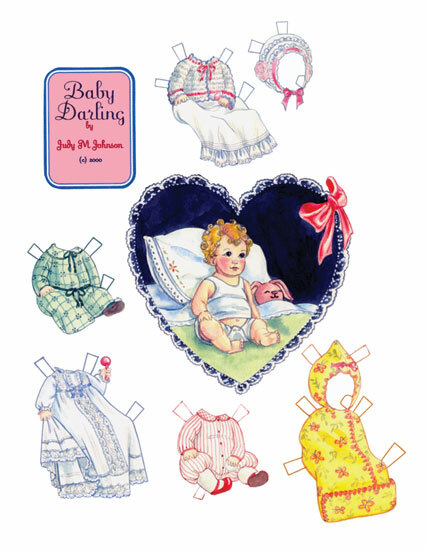 Two baby paper dolls and their clothes. 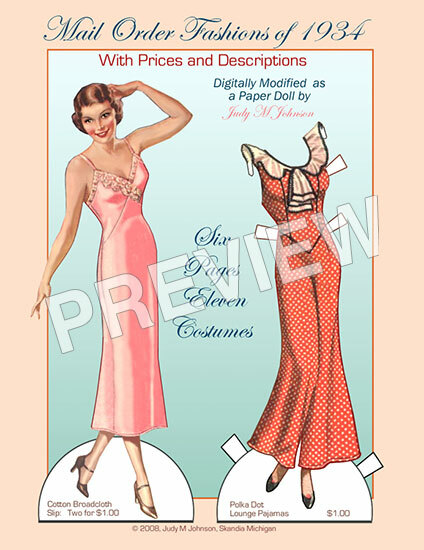 2 pages presented in archival plastic sleeve. 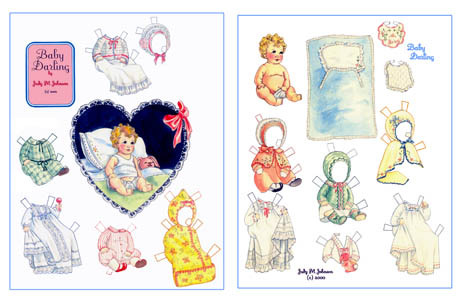 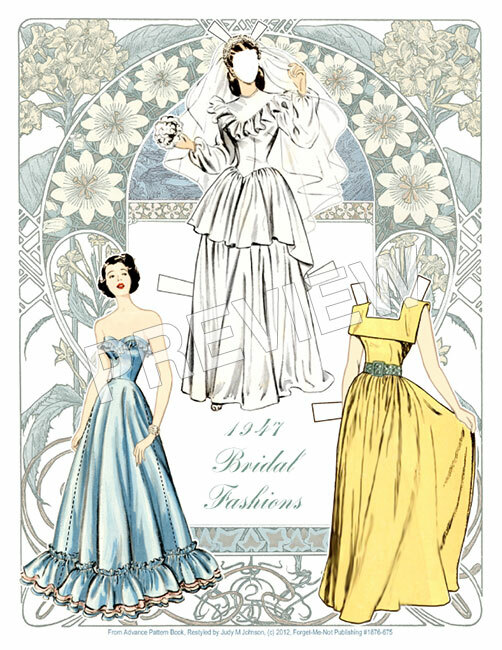 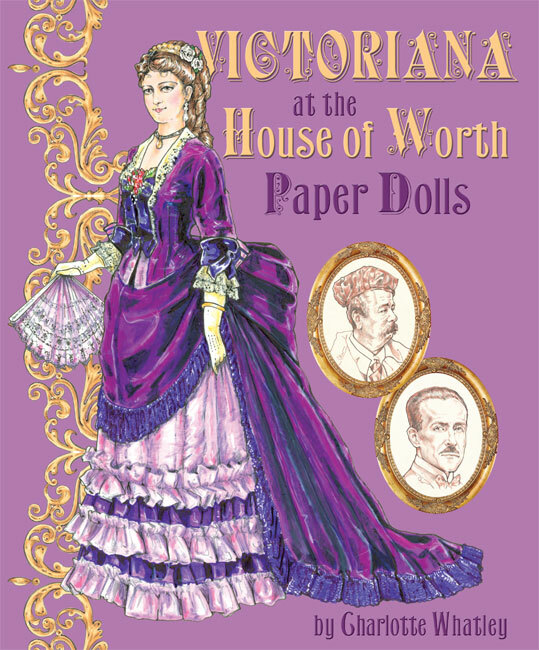 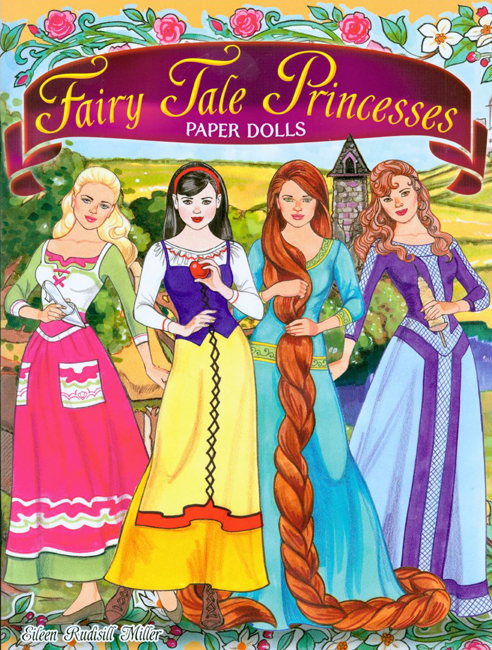 The 8 1/2 x 11 format makes this paper doll set great for framing to decorate a baby's room. 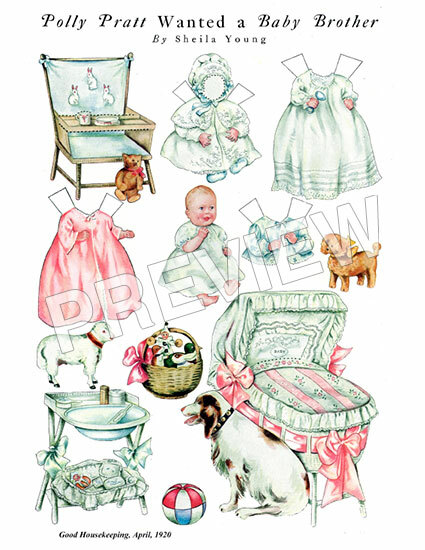 Illustrated by Judy M Johnson. 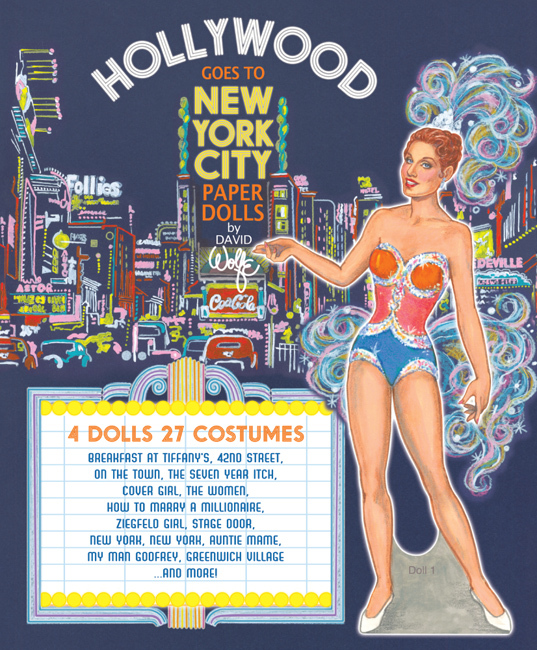 Hollywood Goes to New York - Scratch n dent sale!